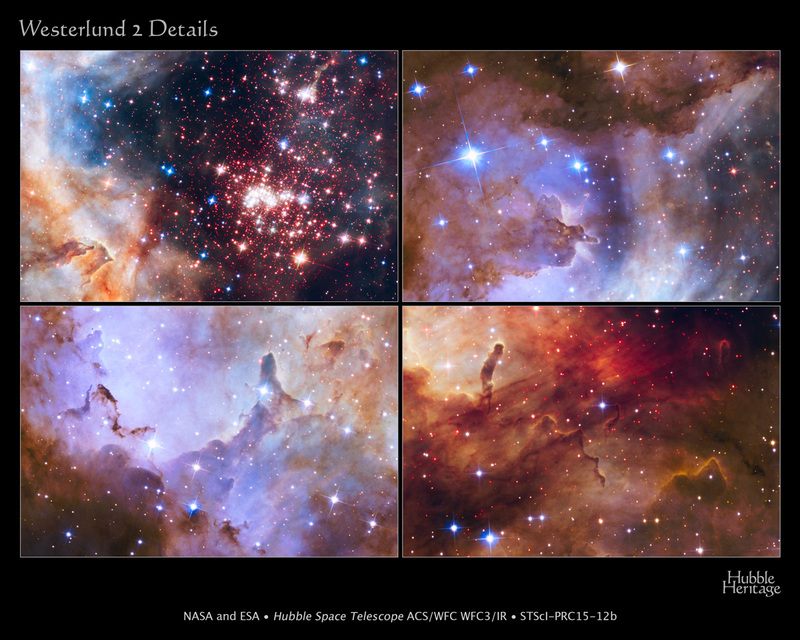 The initial distribution of spin rates of massive stars is a fingerprint of their elusive formation process. It also sets a key initial condition for stellar evolution and is thus an important ingredient in stellar population synthesis. So far, most studies have focused on single stars. 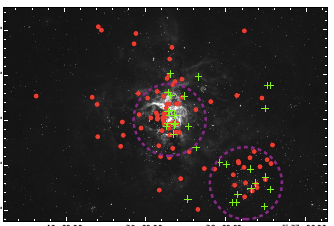 Oscar Ramirez-Agudelo, PhD student in Amsterdam, measured the rotation rates for 114 O-type binaries observed as part of the VLT FLAMES Tarantula Survey. We find that the wide binaries have a distribution that is very similar to that of single stars. This is surprising as it seems to hint that binaries and single stars obtain their birth spin in similar ways. The big exception is the complete lack of very rapidly spinning stars among binary systems is consistent with the idea proposed in De Mink et al (2013) that most stars with v sin i > 300 km/s in the single star sample are spun-up post-binary interaction products. Ramırez-Agudelo, Sana, de Mink et al. (2015) “VFTS XXI: Stellar spin rates of O-type spectroscopic binaries” accepted for publication in A&A. Early B-type stars, are the little brothers of the brighter, hotter and more massive O type stars, which are nearly always found in close binary systems. How often are the little brothers found in binary systems? Are the binary systems different than in the case of O type stars? Those are the questions addressed in this paper. Using the Very Large Telescope in Chili nearly a thousand stars were observed as part of the Tarantula Survey of Massive stars. Dunstall et al. investigated 408 B stars in the sample, the larges homogeneous survey to date. They find that a quarter of these have companions. Taking into account the companions missed they derive that 60% of the B type stars have a companion, slightly less but similar to what was found for the O stars. The B type stars appear to have a less strong preference for extremely close systems. S. E. de Mink, N. Langer, J. Maız Apellaniz, W. D. Taylor, accepted for publiacation in A&A. 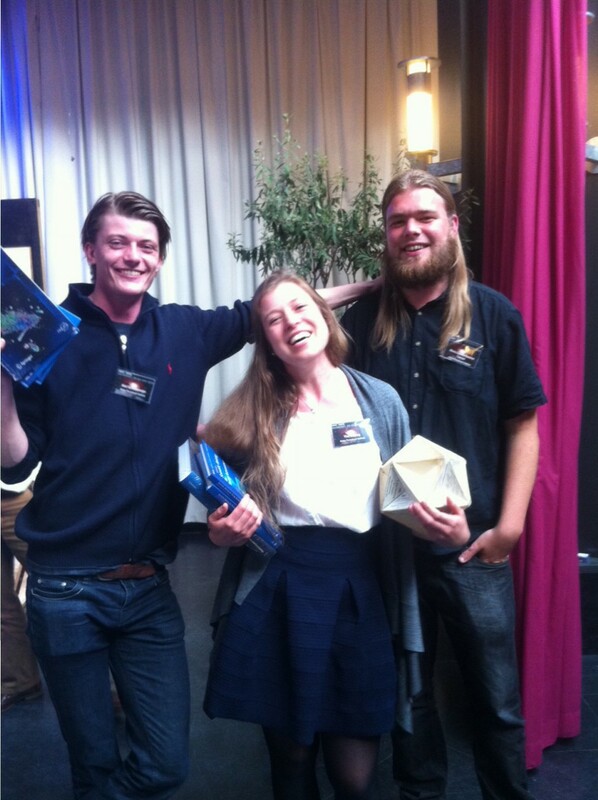 Rain of poster prizes for BinCosmos group members at the 70th Dutch Astronomy conference 2015. 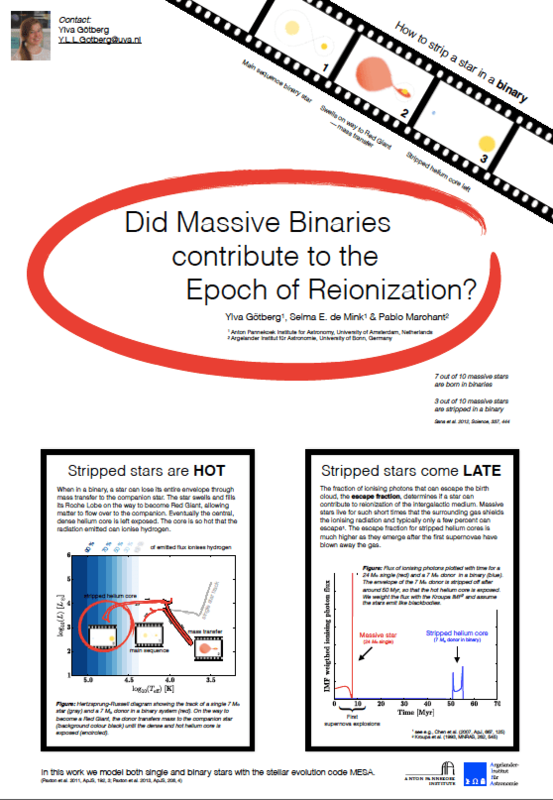 Ylva Gotberg, first year PhD student received the 1st prize for her very clear poster “Did massive Binaries contribute to the Epoch of Reionization?” Abel Schootemeijer, MSc student, received a shared 3rd prize for his poster discussing the binary system “Phi Persei: a clue to missing type Ibc progenitors”. Nathan Grin, MSc student also received the 3rd prize for his poster “Rotational Mixing in Massive Stars”. Photo was taken by Manos Zapartas who gave his first conference talk: “The Deaths of Massive Stars in Binaires: the delay time distribution”. If you were too late to see the light flash of a supernovae, you may still be able to see the reflected light many years later as it scatters on nearby layers of dust. One of such light echoes was found serendipitously in the LEGUS data set. LEGUS is a large treasury survey proving Ultra violet images with the Hubble Space Telescope of nearby galaxies. Schuyler van Dijk et al present the discovery of the light echo around the location where a supernova was found in 2012. Colloquium at the Center for Astrophysics at Harvard. The bright star VFTS 399 turned out to be more interesting than its not-so-catchy name suggests. While classified as “apparent single star”, it stood out by its rapid rotation and, as turned out when inspecting data from the Chandra Satellite, by its exceptionally bright in X-rays. 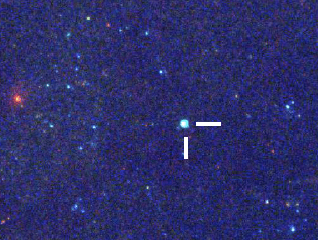 In this paper lead by Simon Clark, we conclude this VFTS399 is most likely the secondary star in a binary system. It is about 20 times more massive than the sun, rapidly rotating and probably shedding material from its equator by the centrifugal effect. Its companion star is now gone and left a neutron star when it exploded as a supernova. The neutron star appears to be the second pulsar in this region. The other neutron star is about 200 light years away. Evans et al. investigated the nearly 300 B-type stars in the Tarantula nebula measuring their velocities toward and away from us using the Doppler effect. Nine stars have extreme velocities and are candidate runaway stars. They appear to have strange rotation rates: either they spin very very fast or very slow. The most extreme case is star VFTS 358, which is moving at 100 km/s. It is a very rapid rotator and shows peculiar surface chemistry. This is very suggestive of the so-called “binary ejection scenario”. Likely, the star was member of a close binary where it was enriched and spun up by its companion star. When the companion died (in a supernova explosion), star VFTS 358 was ejected, now flying through space all by it self. Very good news, the European Commission decided to support part of our research for the next two years through a Marie Skłodowska-Curie Research Fellowship.